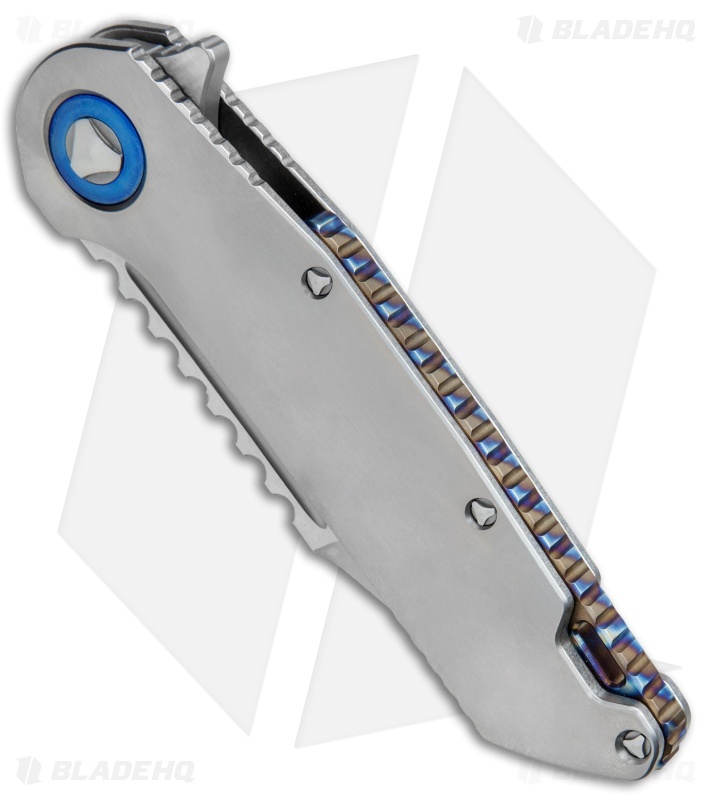 This Custom Warhound folder is outfitted with a satin finished titanium frame lock handle and an M390 Warhound blade with a hand satin finish. 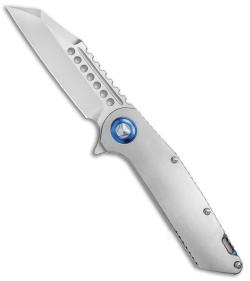 The handle comes with a flamed titanium backspacer and two-tone hardware. The Marfione Custom Warhound folder builds of the popular design of the Warhound OTF automatic. 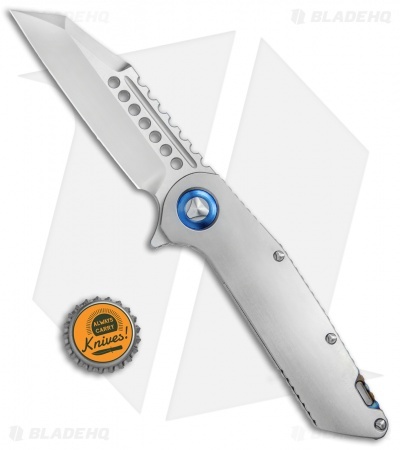 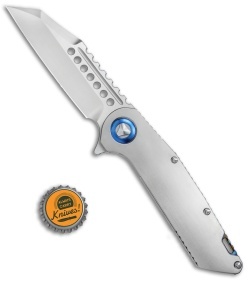 It offers the same highly stylized wharncliffe blade in a more pocket friendly EDC folder format. 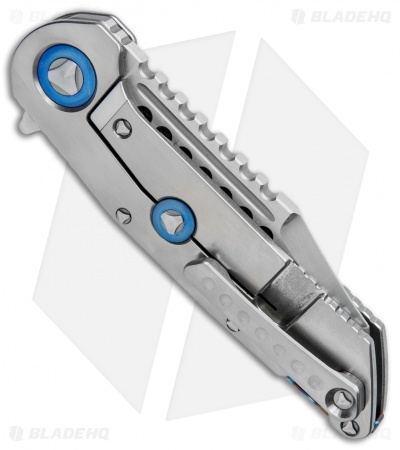 The substantial titanium frame lock handle is equipped with a steel reinforced lockbar and a blue anodized lockbar stabilizer. A milled titanium pocket clip rounds out the custom design.